What a tumultuous year 2016 has been for businesses. Whatever the objectives, the demonetization threw business out of gear: the smaller the guy the harder had been the grind. GST- something we all industries clamoured for years, when finally happened this year, proved a bigger shock. There was no supply chain that was not hit- albeit temporarily. Though the GST system was surely half baked when made online, to be fair, Government listened and made amends. While most of the businesses are back on track in terms of operations after these two tremors, GST regime continues to bleed small exporters. They are not out of woods yet. Leaving behind 2016, the next year certainly looks better. If not much in terms of economic growth, at least in terms of stabilization of processes. Experts opine the growth needs to pushed through Government means in absence of weak international demand and negative private sector investment. In this scenario many businesses eye government purchases (valued at Rs. 30~45 Lac Crore). 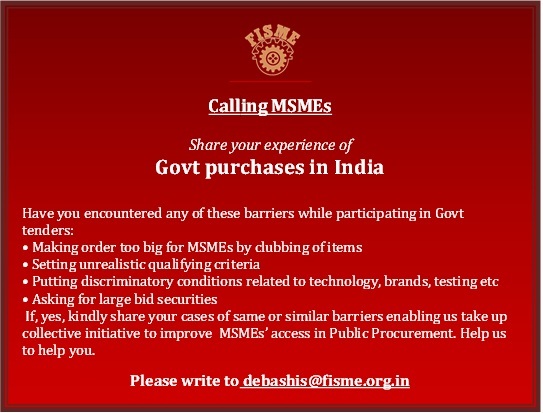 This is what is going to be FISME’s focus too in 2017: how to retain existing as well as expand MSMEs access to Public Procurement. On behalf of all executive members of FISME, let me wish you a happy and prosperous new year! " 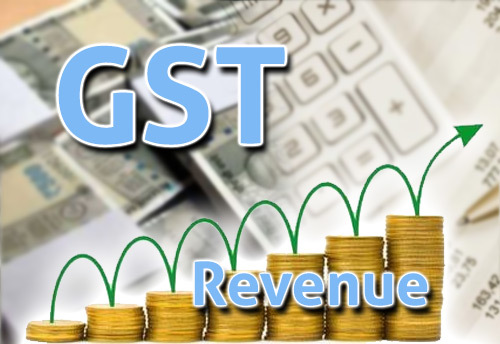 Eyeing at exploring the different aspects of the Goods and Services Tax (GST) in the country, Speakers Research Initiative (SRI) recently held a workshop. The workshop was organized on 21stDecember in the national capital themed at the newly implemented One Nation One Tax. Stakeholders from different sectors and industries were a apart of the meeting. 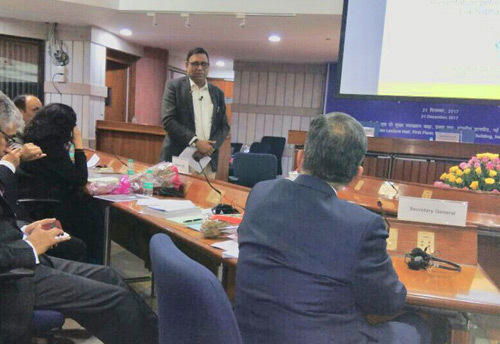 Of the various speakers invited for the workshop, Anil Bhardwaj, Secretary General of the Federation of Indian Micro and Small & Medium Enterprises (FISME) participated in the meeting putting forth the different complications faced by the sector. Entrepreneurs know that to succeed in the current competitive business world, it is important to follow the basics. Hence if you are thinking of getting into entrepreneurship, it is vital that you keep it simple and ride as hard and fast as possible like a horse trying to win a race. Here are 6 evergreen strategies that drive successful entrepreneurship. India started 2017 having just undergone one extremely disruptive event — demonetisation — and halfway through the year had to deal with another, the introduction of the goods and services tax, or GST. This has, thus, been a profoundly unusual year for the Indian economy. It has been marked by dynamics such as de-stocking and re-stocking, which conceal the trend line of economic activity. In the middle of the year, it appeared that India had undergone a clear growth slowdown, with several successive quarters of deceleration, beginning with the first quarter of 2016. Eight core sectors grew by 6.8 per cent in November 2017, mainly helped by a robust performance in segments like refinery, steel and cement, official data showed today. The eight infrastructure sectors -- coal, crude oil, natural gas, refinery products, fertilisers, steel, cement and electricity -- had witnessed a growth of 3.2 per cent in November 2016. A total revenue of Rs 4,109.3 crore has accrued to states, including Chhattisgarh and Madhya Pradesh, from auctioned and allotted coal blocks till November. 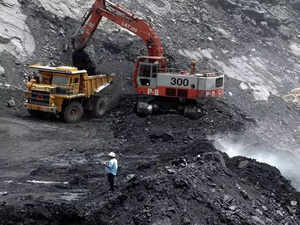 Of the total revenue of Rs 4,109 crore, Rs 2,543 crore are generated from the auctioned coal blocks, Coal Minister Piyush Goyal said in a written reply to the Lok Sabha. "Total revenue generated for state governments from coal mines allotted and auctioned under the Coal Mines (SP) Act, 2015 till November 2017 is Rs 4,109.31 crore, out of which revenue generated from auctioned mines is Rs 2,543.3 crore," the minister said. 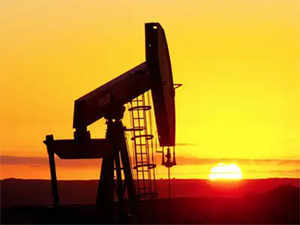 Rising commodity prices, especially that of crude oil that has hit a three-year peak last week, will double current account deficit (CAD) to USD 39 billion or 1.5 per cent of GDP this fiscal year, warns a report. In September, domestic rating agency IcraBSE 0.10 % had pegged CAD which is the difference between inflows and outflows of foreign exchange based on sale of merchandise, services and remittances, to print at 1.3 per cent of GDP. 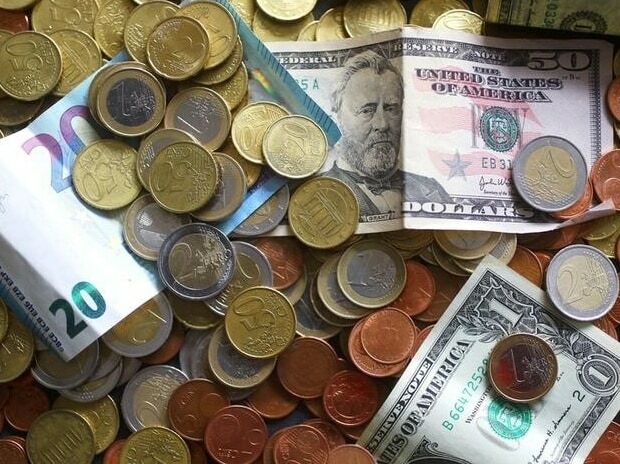 The country's foreign exchange reserves rose by $488.2 million to $401.385 billion in the week to December 15 on account of rising in foreign currency assets, the Reserve Bank of India said on Friday. In the previous week, the reserves had declined by $1.044 billion to $400.897 billion. In the reporting week, the foreign currency reserves, a major component of the overall reserves, rose by $478.3 million to $376.906 billion, according to RBI data. With six months into the Goods and Services Tax, the collection for the month of November hit a low figure of 80.808 crores, lowest since its implementation, the data from Ministry of Finance revealed. Dissecting the data further, in comparison to the tax collections of previous months, the tax collection in October stood at Rs 83,364, Rs 92,150 crore for the month of September. Also earlier months including August and July, the tax collection stood relatively higher at Rs 90,669 crore and Rs 94,063 crore respectively. 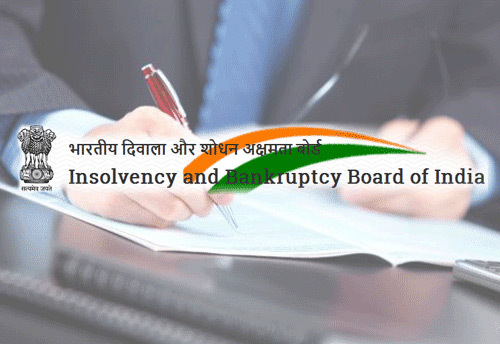 In a recent development, the Insolvency and Bankruptcy Board of India (IBBI) has recognized two valuers organization, a release from Corporate Affairs Ministry informed. The Insolvency and Bankruptcy Board of India (IBBI) in pursuance of the companies (Registered valuers and valuation) rules has recognized two registered valuers, the release said.The Institution of Estate Managers and Appraisers will handle one asset class of “land and building”. The other IOV Registered valuers Foundation will handle three asset classes of “land and building”, “plant and machinery” and “securities or financial assets”, the release added. 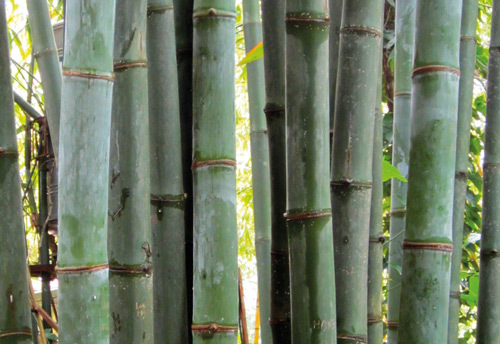 Eyeing at facilitating impetus to the bamboo sector in the country, the government Is looking to come up with a roadmap to double the income of farmers involved in the sector, Minister of State for Micro, Small and Medium Enterprises (MSMEs) Giriraj Singh informed. Singh in a tweet said that bamboo being an important produce for livelihood, especially for certain geographical regions such as North-east is to be in focus for the government. 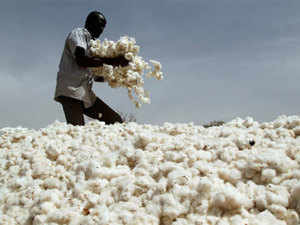 Cotton export is estimated to increase by 15 per cent to 67 lakh bales (of 170 kg each) in the current 2017-18 marketing year, which started in October, because of the rise in the output of the commodity, Parliament was informed today. This assessment was made by the Cotton Advisory Board. 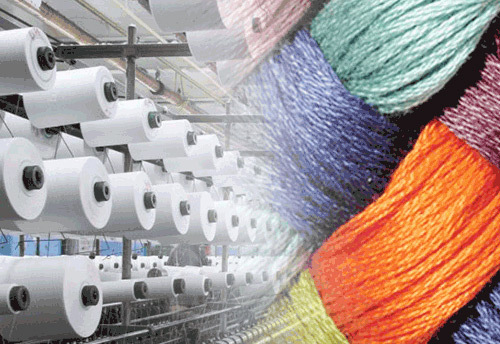 The shipments were aggregated at 58.21 lakh bales during 2016-17 marketing year, Minister of State for Textiles Ajay Tamta said in a written reply to the Lok Sabha. 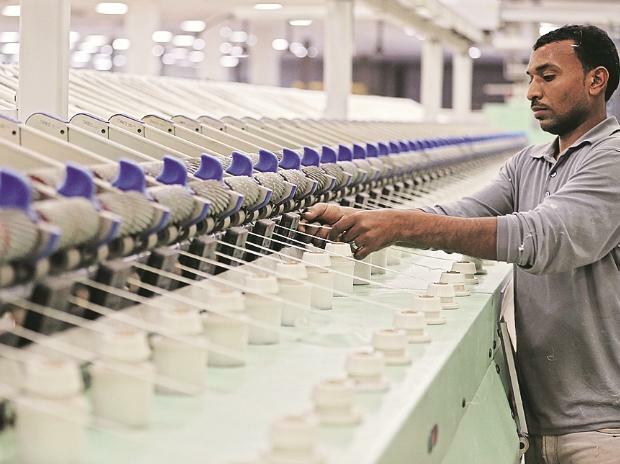 With the Union Cabinet chaired by Prime Minister Narendra Modi giving the green signal to the new scheme for skill development scheme, textile body Tirupur Exporters Association (TEA) has welcomed the new policy saying it is to benefit the sector. The new scheme is to have an allocation of over 1,300 crore, targeting towards jobs in the organised textile and related sectors. Commenting over the newly passed policy, TEA in a press statements said that the outlay comes in line with the concerns that were being raised by the different stakeholders of the sector. Raising concerns over the rising steel prices, an industry level meeting including the Micro, Small and Medium Enterprises (MSMEs) was called recently in Ludhiana. 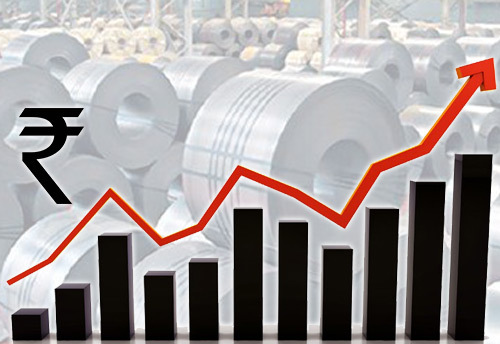 Commenting over the rising steel prices, says Badish Jindal, President, Federation of Punjab Small Industries said that the steel prices have registered huge price rise in the recent times leading to stress on the sector. The steel prices have increased over 4000 rupees per ton, highest hike in single month since the last decade, Jindal informed. With the rise in steel price, the dependent industries including the bicycle making industries are to experience the ripple effect. 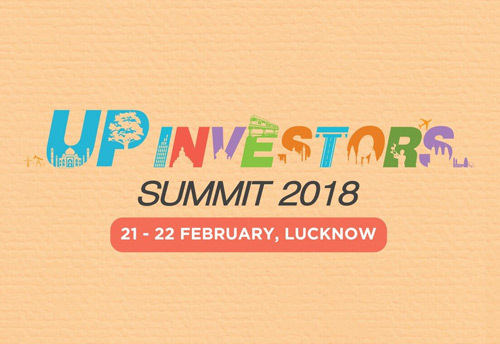 Eyeing at Industrial Investment and Employment promotion in the various sectors including the Micro, Small and Medium Enterprises (MSMEs), the Government of Uttar Pradesh is organizing Uttar Pradesh Investors Summit (UPIS) on 21st-22ndFebruary 2018 in Lucknow city. UPIS will offer a global platform bringing together the heads of states, ministers, leaders from the corporate world, policy makers and other delegates from around the world under one roof to discuss the cause of economic development in the state and promote cooperation. 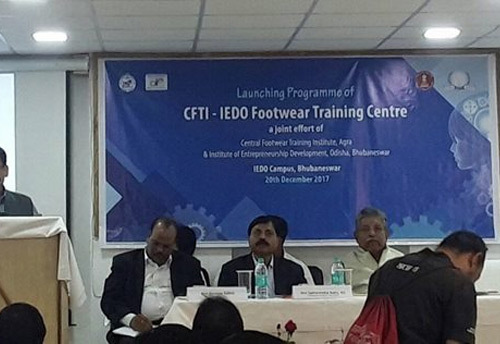 Under a recent collaboration between the Central Footwear Training Institute (CFTI), Agra and Institute of Entrepreneurship Development Odisha (IEDO), a footwear training centre was inaugurated recently in Bhubaneswar. Minister for Micro, Small and Medium Enterprises for the state of Odisha Prafulla Samal recently inaugurated the training centre. Addressing media during the inaugural event, Samal informed of the functioning strategy of the newly established institute. 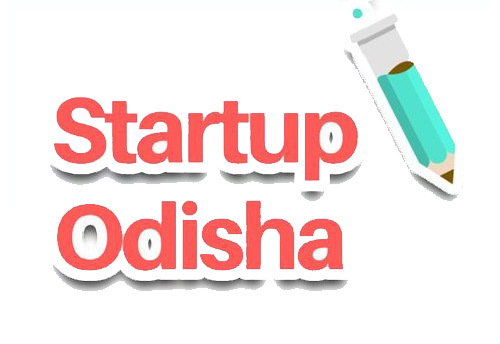 Eyeing at increasing startups and Micro, Small and Medium Enterprises (MSMEs) in the state, the Odisha government recently announced its target to set up over 1000 startups in the next there years. 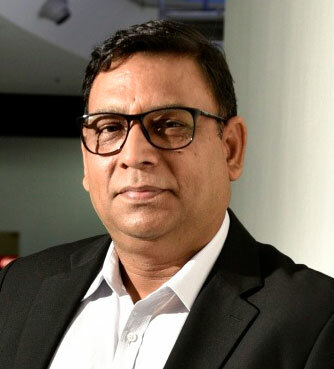 State Minister for Micro, Small and Medium Enterprises, Prafulla Samal said that the state of Odisha has a favourable ecosystem for the new businesses to flourish. Provided that there is such a viable opportunity in place, the state government has chalked the target to set up over 1000 startups by the year 2020. 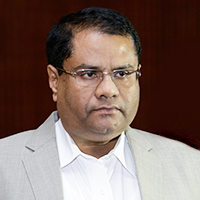 In an attempt to explore collaborations and investments, Andhra Chamber of Commerce (ACC) has collaborated with The Global Trade Driver (TGTD), Chennai-based consultants facilitating B2B connections between Indian and US companies, for a delegation level visit to the United States in March of 2018. 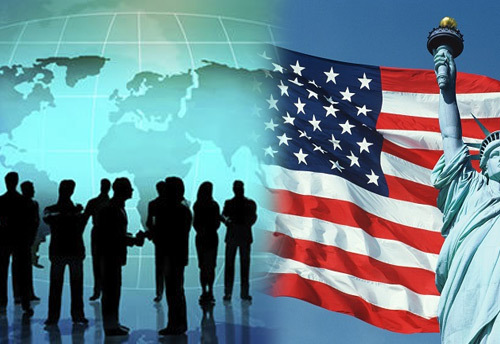 Also Transatlantic Sales and Smith, Gambreall and Rusell will be partnering for the MSME delegation visit. Andhra Chamber of Commerce (ACC) Vijayawada committee Chairman M. Rajaiah, in a press release informed of the latest development. The chairman said that the visit is likely to be the key to exploring opportunities for trade promotion between the two countries. 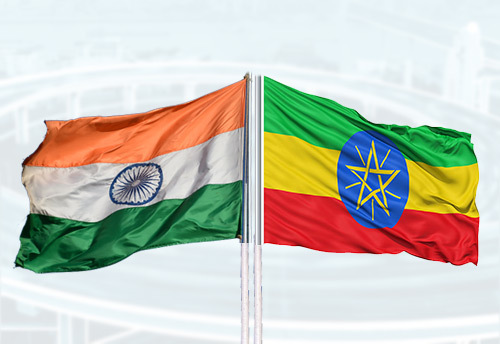 Eyeing at increased investment in the country, African country Ethiopia called on the investors from West Bengal to explore opportunities and come and make in Ethiopia. The Minister Counsellor (Business), at the Ethiopian Embassy, Molalign Asfaw made the following remarks during the inaugural session of MSME Conclave 2017 organised by CII. Listing possible incentives, the Minister said that the investors from India can avail package of incentives including exemption of income tax and import duty. The Minister further said that there is ample of opportunities open for investments in sectors including infrastructure, small engineering, Information Technology and healthcare. RBI Keeps Repo Rate Unchanged At 6%, Reverse Repo At 5.75%. 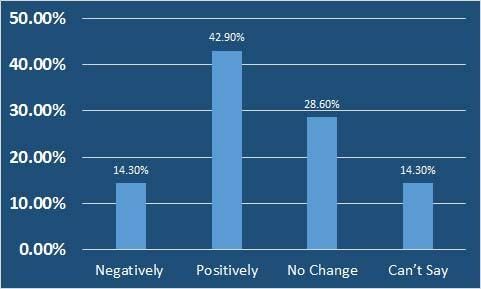 How will it affect cost of borrowing for Indian MSMEs? As RBI Keeps Repo Rate Unchanged At 6%, Reverse Repo At 5.75%. According to the FISME Factor, 42.9 per cent of Micro, Small & Medium Enterprises think that it will affect cost of borrowing for Indian MSMEs positively, 14.3 percent think that it will affect negatively, 28.6 per cent think that it will have no affect while 14.3 per cent think otherwise. What does a growing company demand? I would say elevated levels of productivity, hugely engaged teams and a culture that encourages innovation. As a CEO of a travel technology company, my constant deliberation is how well our products connect with our clients. But, businesses do not create value, people do. And therefore, I rely on my human resources team to achieve this vision. 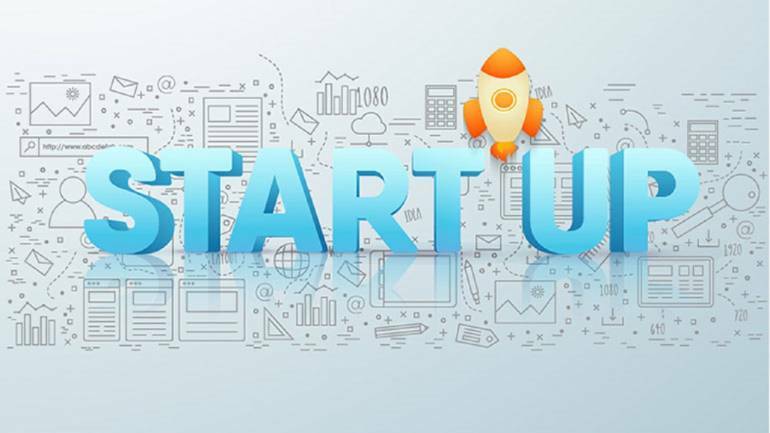 The commerce and industry ministry today said a total of 5,350 startups have been recognised by the Department of Industrial Policy and Promotion (DIPP) for availing benefits under the Startup India initiative. Under the Fund of Funds for Startups, 75 startups have received funding to the tune of Rs 337.02 crore. The aspects and entities of a sales funnel vary with different ventures; yet, the desired outcome is the same - more and faster sales! When transitioning to the next stage, losing a considerable number of prospects is common and inevitable; but most of this loss is avoidable, resulting in a successful purchase. 2018 may turn out to be a challenging year for India's textile and garment industry, with exporters still reeling under the impact of GST and outward shipments likely to miss the $45 billion target for 2017-18. Suma Agro India Pvt Ltd is a company that is going to the roots of agriculture to tackle challenges farmers face. Ahead of the Paris Climate Change summit in December 2015, the Indian government had announced its target of achieving 175 GW of renewable power by 2022, out of which 100 GW is expected from solar and the remaining 75 GW from renewable energy sources. The Central Statistics Office (CSO), Ministry of Statistics and Programme Implementation, has released the estimates of Gross Domestic Product (GDP) for the second quarter (July-September) Q2 of 2017-18, both at constant (2011-12) and current prices, along with the corresponding quarterly estimates of expenditure components of the GDP.